My littlest niece M loves her burgers. She who moves her food round her plate most of the time, will quietly finish up a burger in half the time we do. 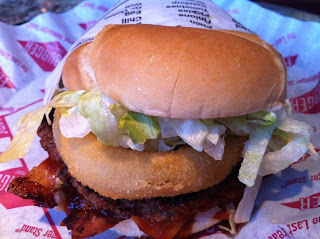 When we met up she was bouncing - giddy to get to go to Fatburger. Burger with Onion Rings and Bacon - Yum! 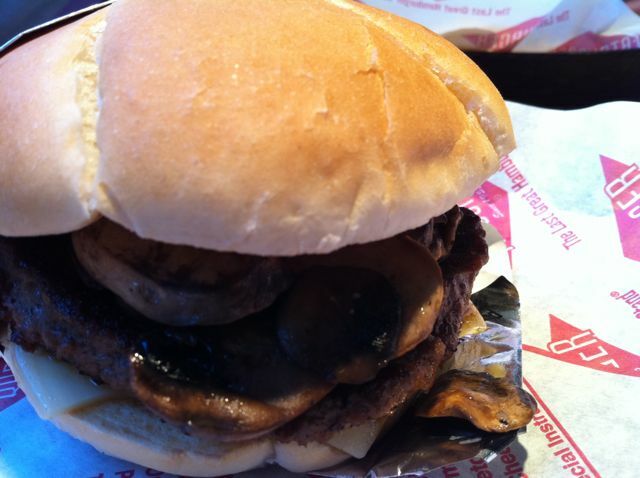 What more can you ask for in a burger? We had previously tried the Fatburger downtown and didn't think very much of the burgers but these burgers changed our minds. Definitely a good joint to go to if you have a burger craving. They serve poutine and chilli fries too - we were too full but something to try next time.